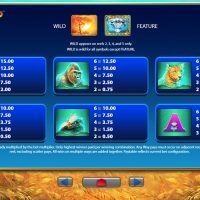 Take yourself on an African safari and discover, leopards, gorillas, crocodiles, beavers, and a raging rhino on, erm…Raging Rhino. 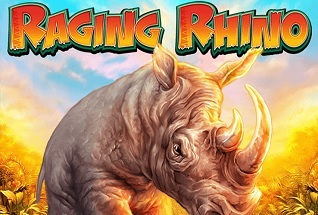 Just like taking a safari, Raging Rhino offers a beautiful sight full of vibrant, striking colours and sweet, serene 3D motions which creates a wonderful playing experience. In terms of graphics, Raging Rhino is right up there amongst the best as its imagery and symbols are so lifelike, and the cool livery surrounding the reels blends in so handsomely. The gameplay is excellent too with smooth transitions and animations, plus the way that a win is highlighted is really cool, differing from the vast majority of games out there. 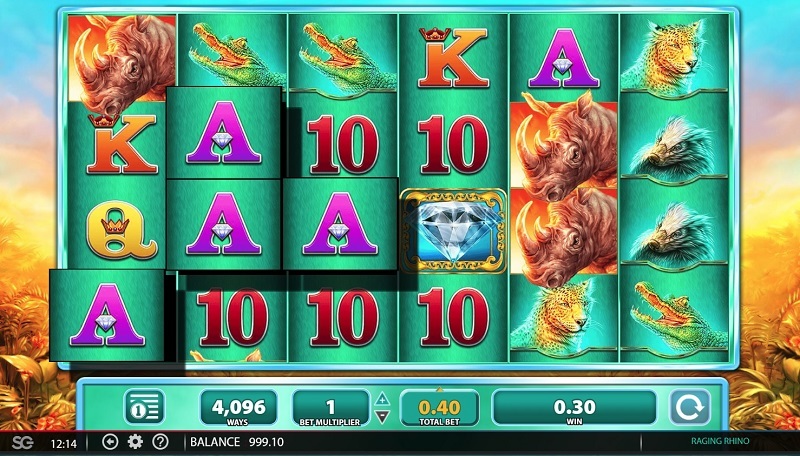 As you would expect from a game based on a safari theme, the symbols are all linked to what you’d likely encounter on one with rhinos, gorillas, leopards, beavers all featuring plus the traditional A’s, K’s, Q’s, 10’s and 9’s. There is a wild symbol of a tree and a feature symbol of a diamond. 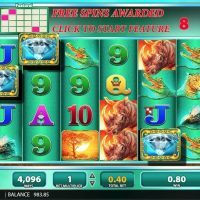 The best symbol to hit is the diamond which pays out 600/1 should you hit 6 in a row on the free spins. 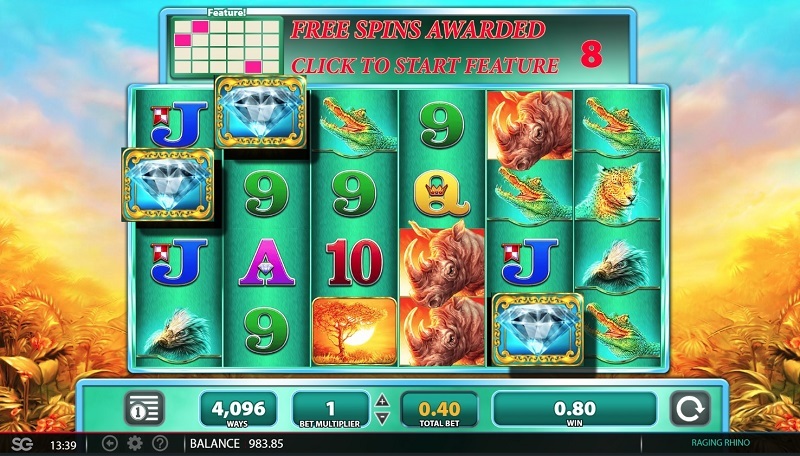 The bonus round on Raging Rhino is just free spins which is triggered by hitting three or more diamonds in a row. You can’t bet on different lines but there’s a quite a wide choice of betting – between 40p and £60. The house edge is a decent 4.09%. Raging Rhino is one of those games that is at the forefront of the genre right now. Offering wonderful graphics, magnificent gameplay, and a unique experience when it comes to winning, there really isn’t much better out there online. 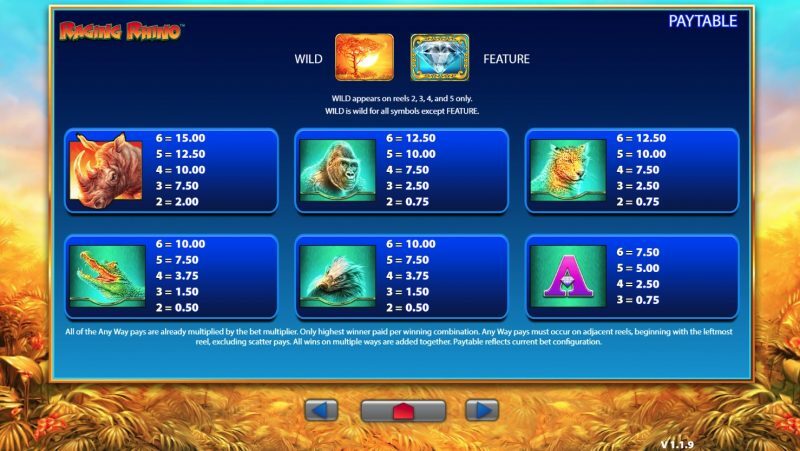 Though there is no real bonus round, a disappointment for those who like to have a break every now and again from the rotation of the slot, and there is no autoplay option; the multipliers – which can be 2x, 3x or 4x depending on how many wilds you hit – more than makeup for it. 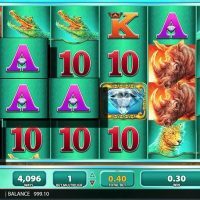 Plus, there’s over 4,000 ways to win each spin. 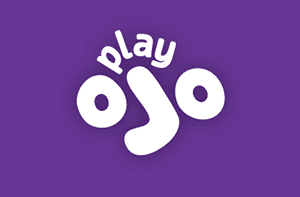 It might be worth taking a quick look through the instructions before playing, because this game is for the winners!